Atlanta United president Darren Eales says it is imperative the club appoint a new coach who plays "exciting, attractive football" amid links to Marcelo Bielsa. Tata Martino guided Atlanta to the MLS Cup title in 2018 but will now depart Mercedes-Benz Stadium, with several high-profile candidates reportedly in the running. 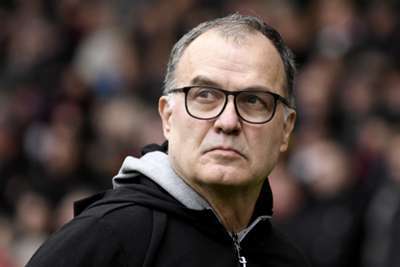 And Leeds United boss Bielsa has been suggested as a potential replacement for his fellow Argentinian having inspired a generation of coaches - including Martino and Mauricio Pochettino - as well as drawing huge praise from Pep Guardiola. Atlanta chief Eales would not be drawn on any alleged interest in Bielsa, who remains in a job at Elland Road, but he acknowledged that the new man in charge will have to entertain the team's fans. "I may have missed something, but I thought [Bielsa] was at Leeds," Eales told Omnisport. "I would say that Marcelo Bielsa is incredible. "I had Mauricio Pochettino when I was at Tottenham and that Newell's Old Boys tree that's come from Bielsa is pretty incredible. He's got a lot of people and a lot of coaches who have been inspired by him. "The reality is we've got a style of play in Atlanta where we score the most goals in the league, we were title winners this year and we play an exciting, attractive style. "I think it's important that the coach who comes in has a similar pedigree of playing that way. That, for us, is the most important thing." Boca Juniors coach Guillermo Barros Schelotto and former Argentina boss Jorge Sampaoli have also been touted and Eales believes Atlanta are recruiting from a position of strength. "Tata has been fantastic as our first head coach," Eales said. "He won a title in our second season but also played an attractive style of football. "The exciting thing for us is that, when we hired Tata, we had no stadium, no training ground and no players. It was literally a blank sheet of paper. "We now have an amazing fanbase in Atlanta, a stadium that's the best in the world, a training ground that's one of the top ones in the whole of North America. From that perspective, we're in a much better position in terms of looking for the new coach." He added: "The reality is that we're in a situation that is slightly different to two and a half years ago, when we hired Tata, in that we are firmly on the map. "That name recognition is a factor, but it's not something that's going to be an absolute must-have."